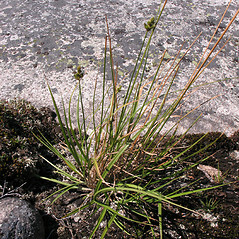 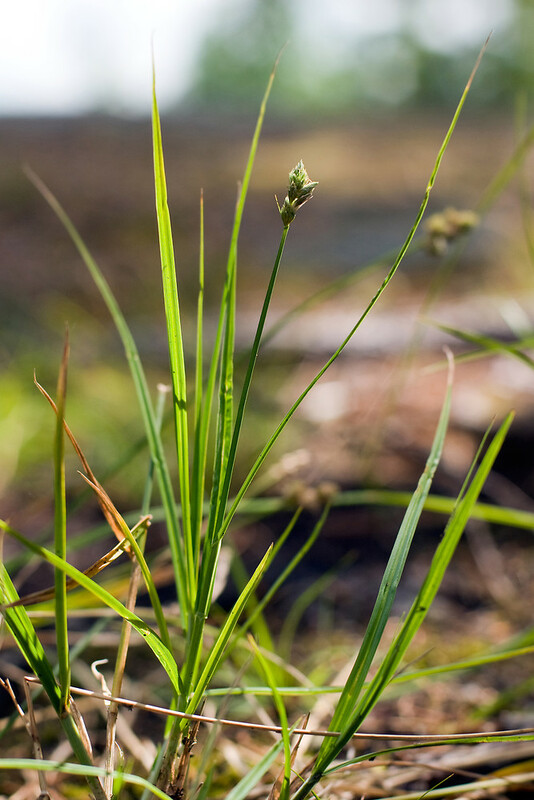 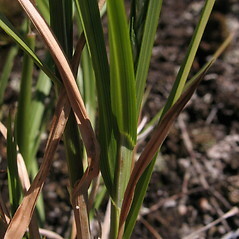 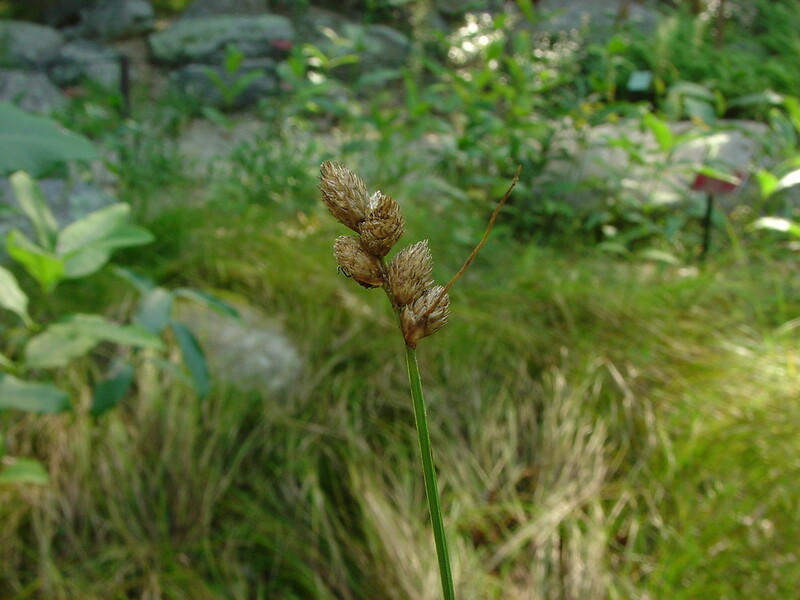 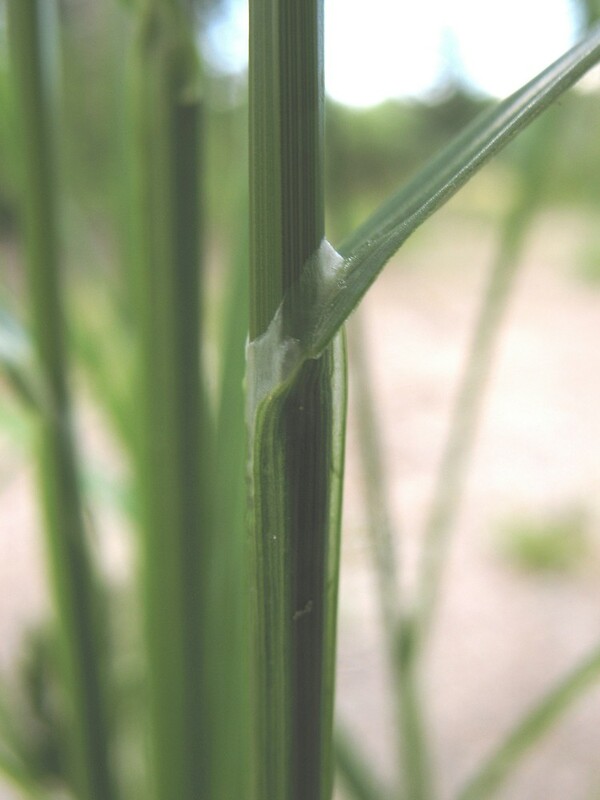 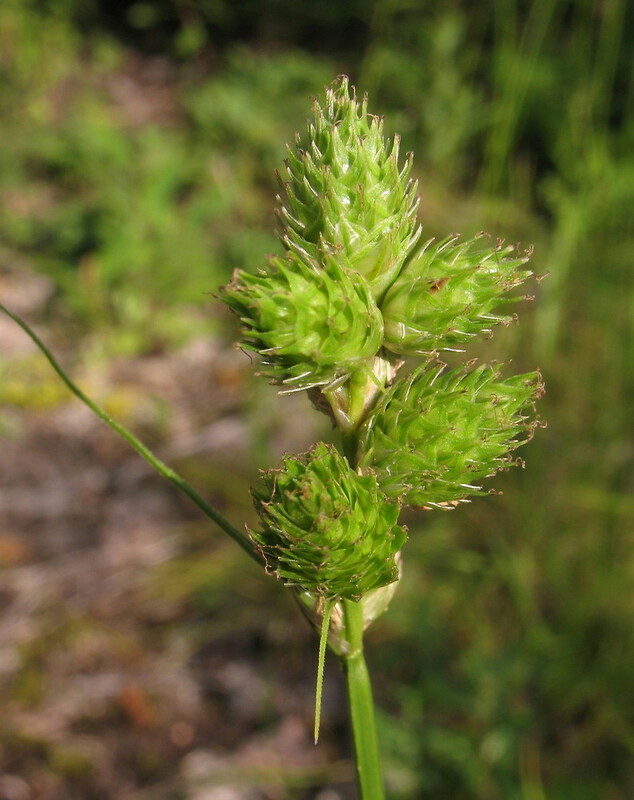 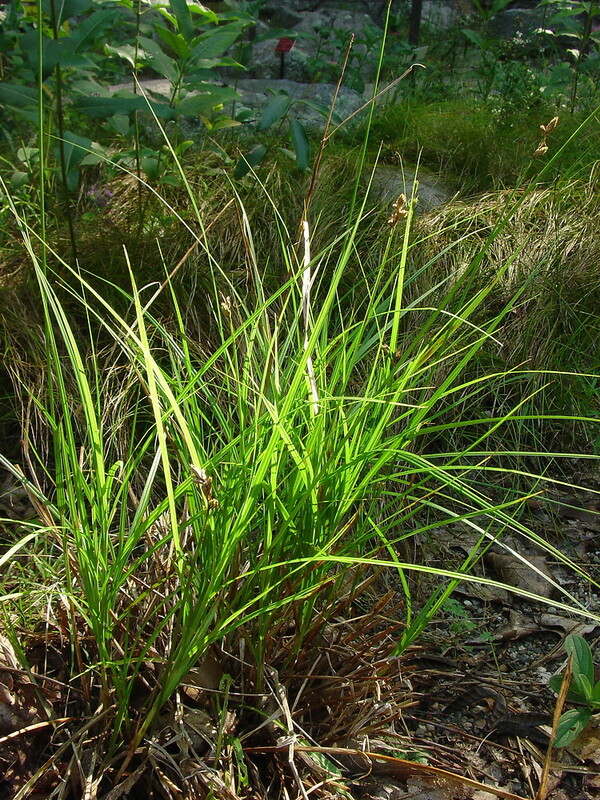 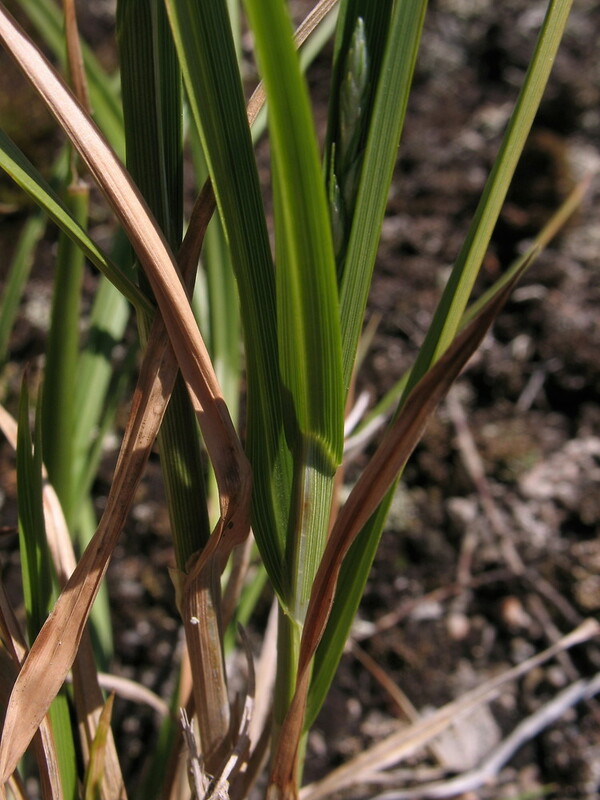 Clustered sedge is confined to northeastern North America, and is rare and protected in some New England states. 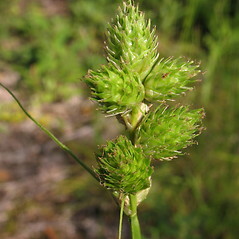 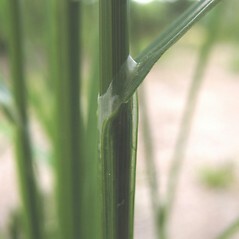 The name refers to the way the spikelets are tightly clustered at the tops of the stems. 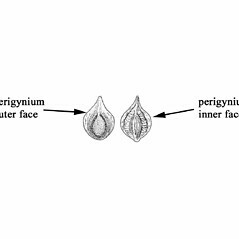 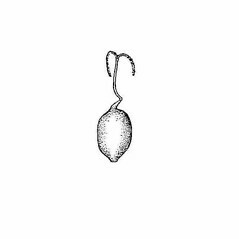 perigynia with 5 to many veins on the adaxial surface, achenes 0.7-1 mm wide, and leaf blades 2-4.5 mm wide (vs. C. cumulata, with perigynia with inconspicuous nerves on the adaxial surface, achenes 1.1-1.25 mm wide, and leaf blades 3-8 mm wide). 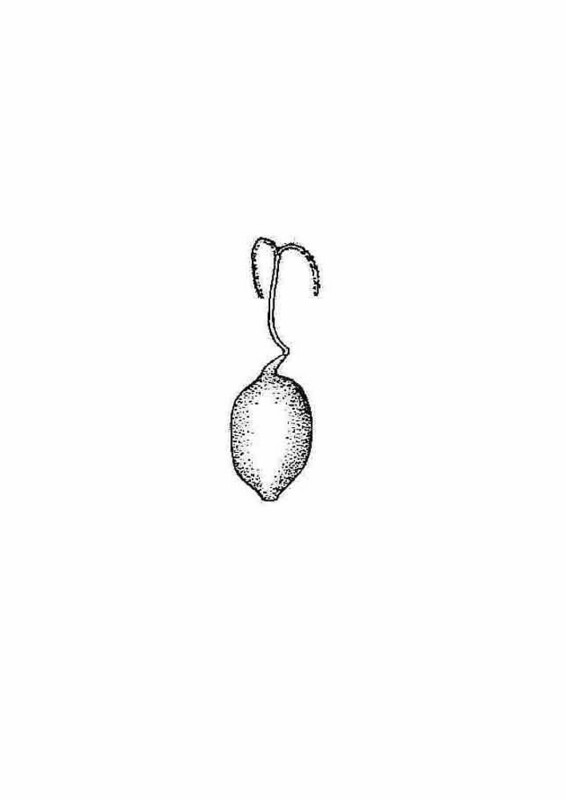 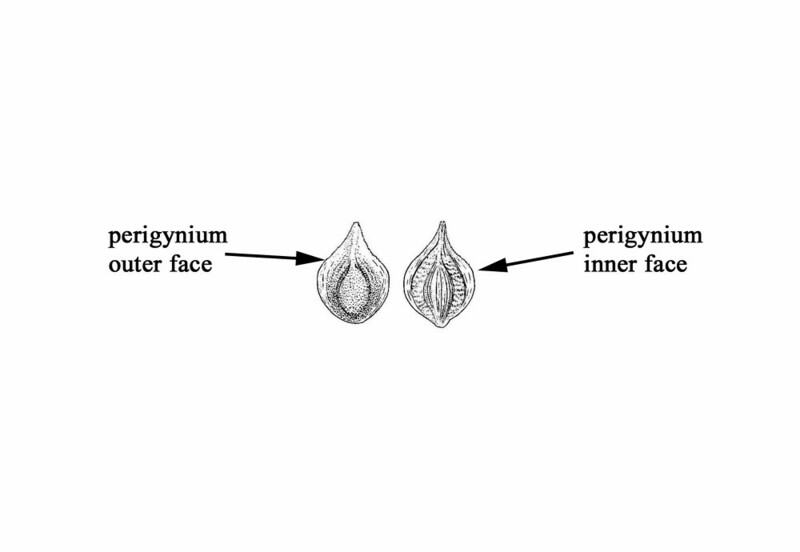 perigynium body elliptic to suborbicular and leaf blades 1.5-3.2 mm wide (vs. C. cumulata, with the perigynium body obovate and leaf blades 3-8 mm wide). 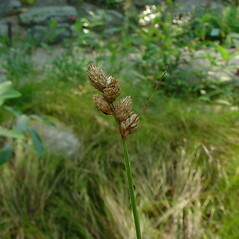 clustered sedge. 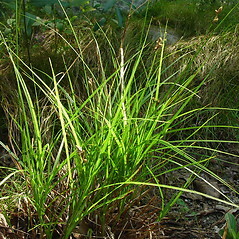 Carex straminea Willd. 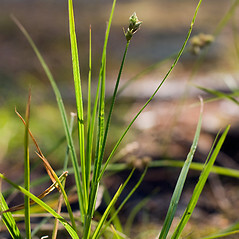 ex Schkuhr var. 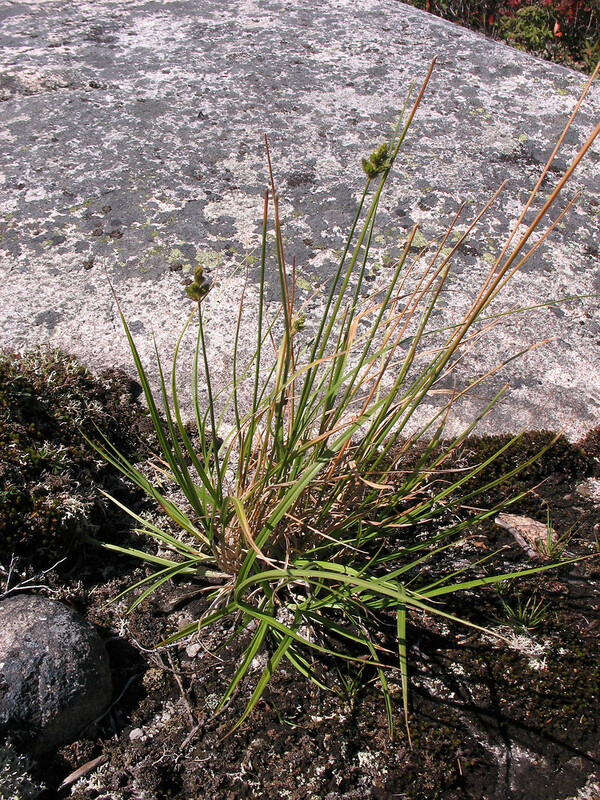 cumulata Bailey • CT, MA, ME, NH, RI, VT. Sandy, usually well-drained, soils of fields, woodlands, cliff bases, and eroding slopes, sometimes also along railroads.